With meat banned from our diets for Good Friday and both craving fish pies, where better to come than Loch Fyne? After being to their restaurant in Sheffield a while ago, we knew we would not be disappointed. It was proving a popular choice for many as we couldn’t get a table until 9.15, but this was no problem at all as found ourselves at the rooftop bar, Six, with a bottle of Rose! When the time did come and the rain started to pour a little, we took the short walk here, ready to fill the appetite we’d been building for the whole afternoon and early evening. 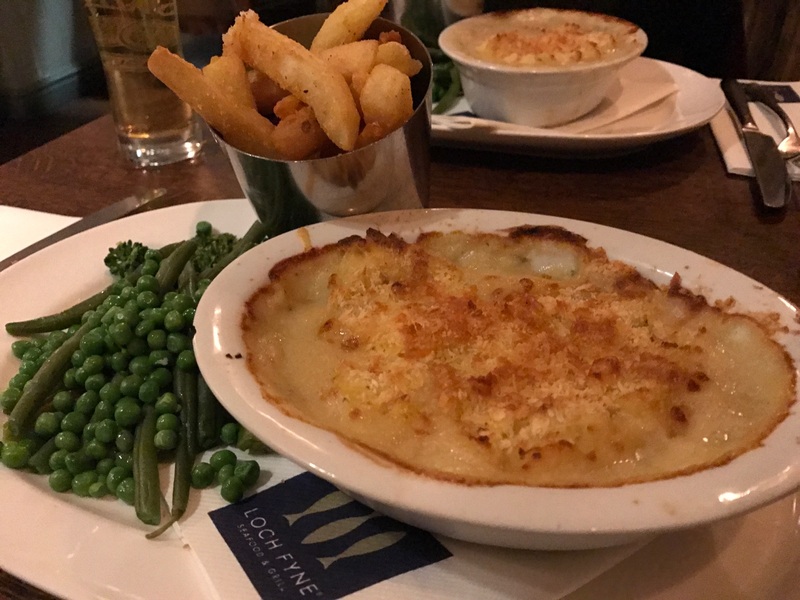 We made sure they had fish pie’s for us when we booked, and we also had remembered that is was here that we established our adoration for twice cooked chips – quite marvellous! The pie was filled haddock, cod and prawns, and a beautifully soft potato top. 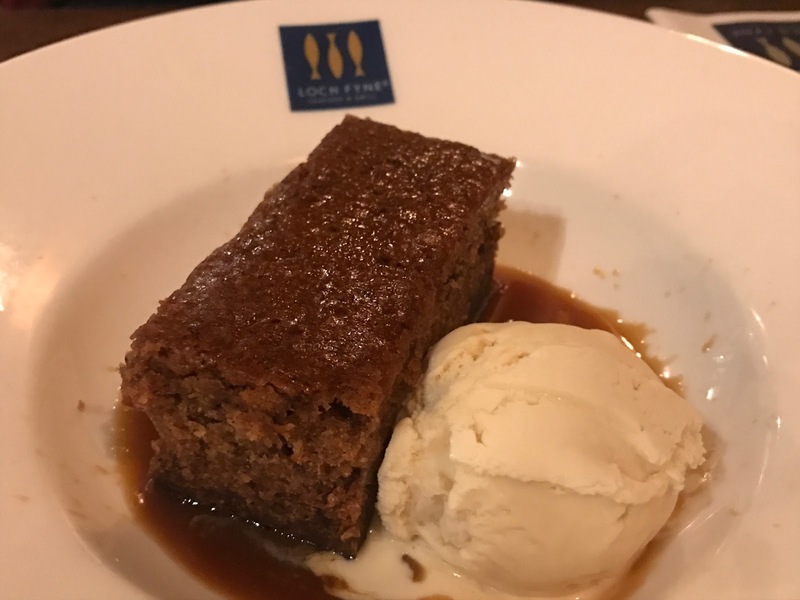 As always, there was room for dessert but opted to share our favourite sticky toffee pudding, which was great, but as you can probably appreciate, needed more sauce. Overall, it was just what we needed after a long and tiring day of touring Cambridge. We’ll have to make sure we visit one of their London restaurants before long!